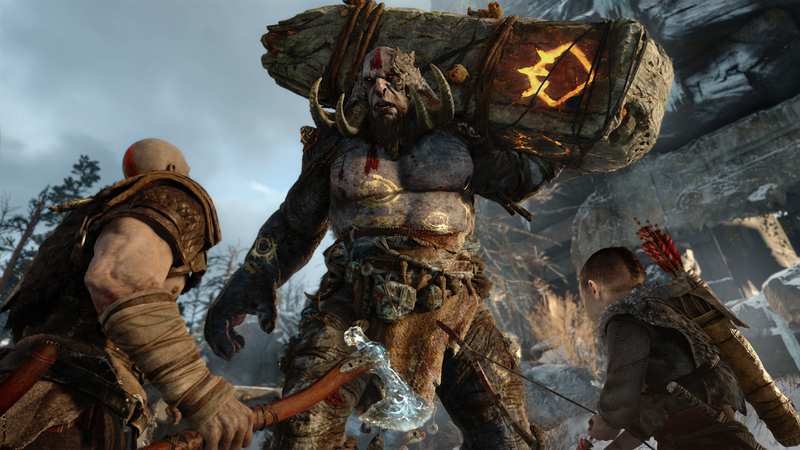 God of War is making a comeback, and this time, it’s going to be in fresh perspective and new mythology gods specifically the Norse gods. Kratos, the Ghost of Sparta, distances himself from the world of the Olympian gods to start a new life, even a family. SIE Santa Monica has given the franchise a different approach to gameplay; it’s even more emotional as we get to witness how the relationship with his son, Atreus, builds. Since its announcement at E3 2016, the trailer showed the whole new gameplay mechanics for God of War. SIE Santa Monica shifted from hack ‘n slash to a more profound and up-close combat. Much like Uncharted and The Last of Us, Kratos’ support is probably going to be his son all throughout the entire game. By reading the previews and new gameplay videos, the combat is very well refined and still brutal. Yes, the gameplay videos show that we will still get to experience that brutality and violence that the God of War franchise is known for. While I think the story of its predecessors were good enough, not breathtaking or fantastic but just right, this new God of War adopts the narrative-approach that majority of the new Sony first-party games have nowadays. Look at games like Horizon: Zero Dawn, Uncharted 4: A Thief’s End and The Lost Legacy, The Last of Us, and even the upcoming Detroit: Become Human from QuanticDream. These games focus more on its story than gameplay. If you take a look back at Uncharted 4: A Thief’s End, it’s a linear third-person shooter with almost repetitive gameplay shooting and platforming mechanics, but why was it critically acclaimed? It’s all because of the story. All these games have better narratives than other platform exclusives out there. And God of War will not disappoint players who are into heavily story-focused games. Given how successful the first-party PS4 games I’ve mentioned are, and how cinematic God of War will be, everyone is going to have a hell of a ride through the Nordic lands with both Kratos and Atreus. Even I can’t wait to get my hands on the game.